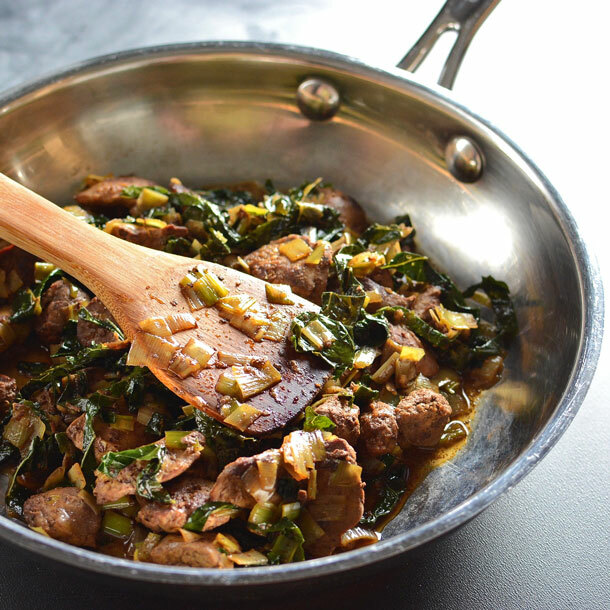 Chicken Livers with Leeks and Kale – Are you intimidated by eating organ meat? Drive away your fears with this delicious and accessible recipe that delivers an enormous nutritional boost! Are you a little intimidated by eating organ meat? I would argue that there is nothing to be afraid of. I’ve had an obsession with liver for a long time. When it comes to dining out, it’s pretty normal to get in a pattern of always ordering the filet or the lobster. I, however, have a problem with ordering all things liver… pâté, foie gras, calf’s liver, and chicken livers…. they’re all delicious to me! 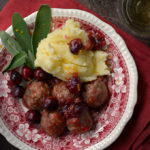 At the risk of committing blog suicide, today I’ve decided to devote this post to chicken livers. It has been brought to my attention (by my husband) that a love for liver is not all that “mainstream” these days. Clearly people just haven’t tasted the stuff! I guess liver is a little intimidating, especially if you think about it in terms of eating guts. The truth is, liver tastes incredible! It’s so nutritious that it could be touted as one of those “superfoods” everyone is talking about (she says as she eats leftover birthday cake). I blame my love for liver on my Mom’s side of the family and their French cooking heritage. This included feeding me pâté as a child and putting pieces of turkey liver into the Thanksgiving gravy. I gobbled these delicacies up, my kid mind thinking they were a normal thing to love – like bacon or something. To this day, it’s a battle between my Nana and I to see who gets to sample the giblets before they’re added to the gravy. You see, liver has a richness and complexity of flavor that surpasses all other cuts of meat. When cooked right, it practically melts in your mouth. Now onto my argument that liver is a “superfood.” To be truthful, I think the whole superfood fad is a pretty crappy marketing scheme. I’m not into taking advantage of people’s desire to be healthy just to sell them goji berries and cocoa nibs at high prices. All whole foods are superfoods. Liver is an excellent part of your whole foods diet. Despite being high in cholesterol (not all cholesterol is horrible for you by the way), liver is an extremely rich source of minerals like iron, phosphorous, copper, zinc, and selenium. 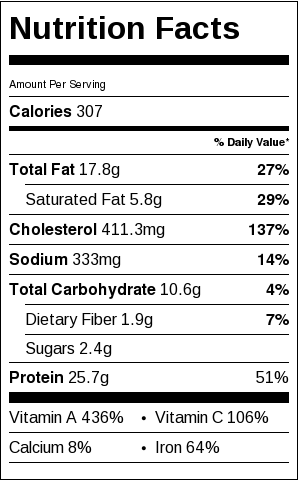 As far as vitamins go, it’s loaded with vitamin A, folate, pantothenic acid, riboflavin, and B12. Iron deficiency is a public health concern in the US among at-risk populations. This includes toddlers, teenage girls, women of child bearing age, and senior citizens. The fact that iron deficiency is a problem in the young is a real earmark of the fact that we have a nutritional intake problem. I often have patients with an iron deficiency anemia, which is a low red blood cell count due to not getting enough iron in their diets. Some of the richest sources of iron that I recommend they eat include dark leafy greens, whole grains, beans, some nuts, clams, and liver. When it comes to iron absorption, having an adequate intake of B12 and vitamin C are also important. That’s part of the reason I love liver from a nutritional standpoint – it’s also rich in B12. 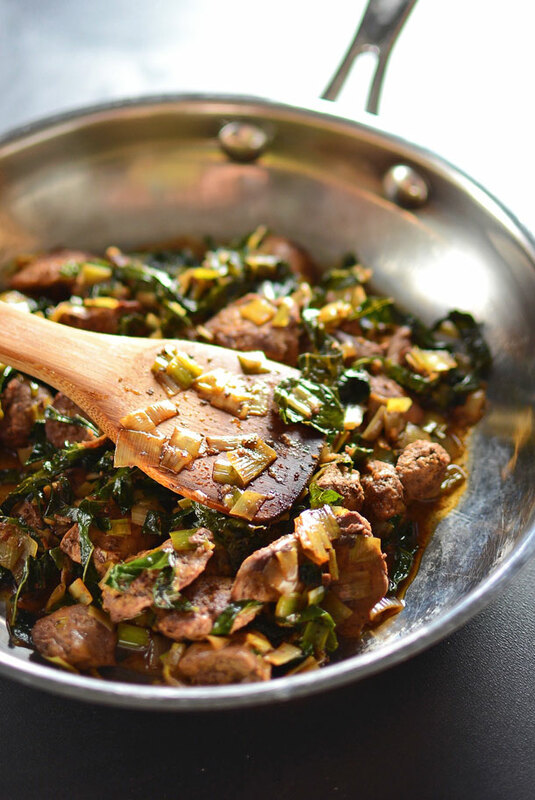 My recipe for Chicken Livers with Leeks and Kale is perfect for filling your iron nutritional gaps. Between the liver, kale and leeks, you’ll have enough iron, B12, and vitamin C to get you glowing again. And by the way – it tastes fabulous! 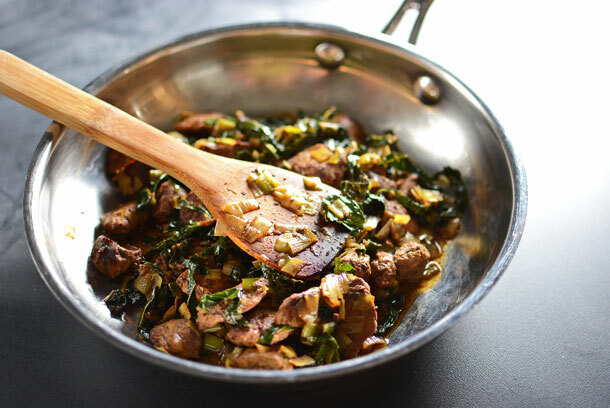 The combination of the liver, leeks and kale is savory, earthy, and rich. 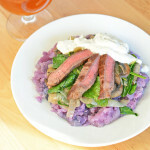 While I was making this dish my husband was singing the blues about eating liver for dinner, but once dinner was served he ate the whole dish without a complaint and then said, “Wow, I can’t believe how good that was.” See? Liver is the bomb! The chicken livers were raised at Ledamete Grass Farm in Schnecksville, PA. The kale, leeks, and garlic were harvested with love at Living Hope Farm in Harleysville, PA.
Are you intimidated by eating organ meat? 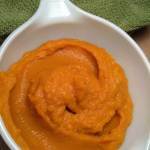 Drive away your fears with this delicious and accessible recipe that delivers an enormous nutritional boost! Begin by cooking your bacon in an uncoated pan over medium heat until it's crispy. Remove from the pan and set aside on a paper towel to blot up excess grease. Prep your vegetables while the bacon is cooking. Leeks tend to hold onto dirt and grit, so it's important to wash them well. 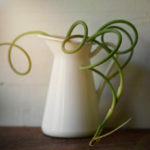 Since the leeks are being chopped, the easiest way to wash them is to start by cutting off the leafy top. Leave the end with the roots intact. Then cut them lengthwise, starting about an inch above the root end. After you've made your first cut, give the leek a quarter turn and cut it in half again, so that it's now cut into 4ths but still held together at the end with the roots, Now you can fan them out under running water and wash off the dirt. Once they're clean, just chop them up and discard the root end. For the kale, cut the stem out and then cut each leaf into ribbons lengthwise. After removing the bacon from the pan, reserve about 2 Tbsp of bacon grease and then add the leeks and kale to the pan. Cook over medium heat until they begin to soften for about 3 minutes. Turn the heat up to high and brown the liver for 2 minutes on each side for a total of 4 minutes. While the liver is cooking, prep what will be your light gravy. In a small bowl whisk together chicken broth, flour or arrowroot flour, and garlic. Add the chicken broth mixture to the pan once the liver has browned. You'll notice that it will immediately start sizzling. While it is sizzling, run a wooden spoon along the bottom of the pan. This will pull up drippings and add flavor to your dish. Continue to cook until the sizzling stops and the dish is simmering. At this point, remove the pan from the heat and serve immediately. thank you for the recipe of chicken livers.in addition to your ingredients we normally add CORIANDER minced together with more Garlic at the last 3 minutes of cooking. sometimes we marinate the liver with all the spices, for at least 3 hours and grill it, when finished we add the coriander and garlic then lemon juice to release the iron in the liver. Your grilling recipe for chicken livers sounds amazing. I love hearing about how different cooking traditions make similar, yet different dishes, so be sure to share again in the future! 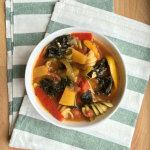 Thanks for following me on social media and sharing my recipe. Happy cooking! Yes I’m a little intimidated but I think you’ve convinced me to give it a go. Thanks for sharing. Nice one, definitely adding this to my organ meats repertoire, sounds delicious and super nutritious! Me and my family loves cooking chiken liver and to tell you the truth we never ever made them with leeks. Even though kale is not available here, I am going to substitute with other green leaves, like spinach. What do you think? I would give it a go with the spinach. 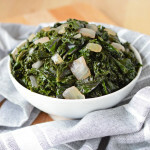 When cooked, spinach is a little less sturdy and cooks faster than kale, so I would consider adding it a couple of minutes later in the cooking process. 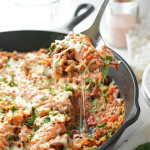 If you give this recipe a go, be sure to come back and let me know how it turned out! I literally nodded to my computer screen upon reading your first sentence. Then I thought… wait a minute. I eat organs. I just forgot that I did. My parents used to make stir fry chicken liver (with leeks too) and ginger. So I know for a fact that this tastes good. My hubs doesn’t take liver but he does cow intestines and coagulated blood. Gasp. My husband LOVES liver, can’t get enough. U haven’t made it for him yet so maybe this is a good place to start. I absolutely love that your ingredients are locally sourced. I admit I’ve never tried chicken livers, but I used to eat calves’ liver a lot as a kid and stopped because of the texture. 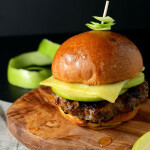 I’m game to eat more foods now and love foie gras,so I will have to bite the bullet and try your chicken liver recipe (and maybe give calves’ liver a chance again as well). Your photos look great! I saw this on your FB page and gushed over it there too, it is incredibly refreshing to see people using less popular parts of a beastie and I love offal (with the exception of tripe 😉 ) definitely gonna have to give this one a go it sounds amazing.